Thunderbird provides the option to the users that once the email account has been setup with it then; users need not to go through it again and again and could easily manage their account. It changes only when the account becomes in-operative or users change its password. This is how users will be able to recover the account password for Mozilla thunderbird and continue their work with it. It happens a lot that the email client we use is of no use since the password of the email has been changed and the email client has no longer access to any new emails. In order to fix this problem in the Mozilla Thunderbird email client, follow the instructions mentioned below. 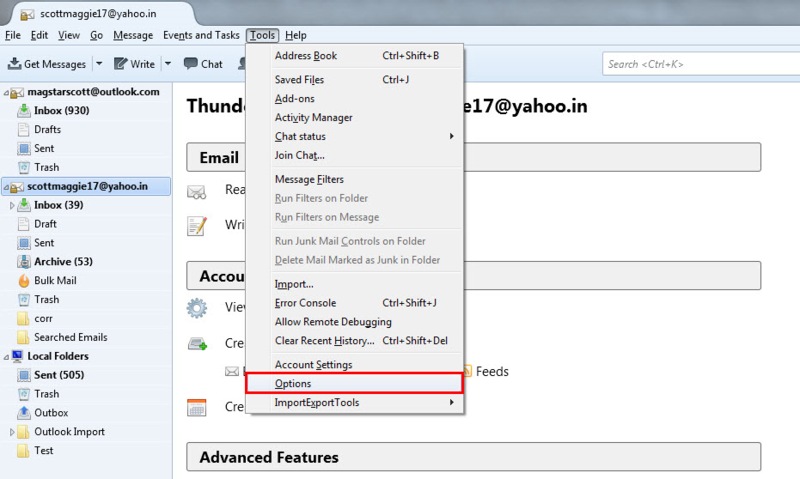 Open your Mozilla Thunderbird email client. Search for tools and select options in that. In the options window that opens up, click on the “security” option and choose passwords. There will be “saved passwords” option just underneath the “security” tab. Click on that. Clicking on it will display a list of all the email accounts and their passwords. However the passwords are not shown along with the email IDs. You can get it displayed by selecting the option to show passwords. You will receive a prompt asking you to confirm the decision you took to display the password. Select yes. Now in order to change passwords, you need to choose the email account whose password has to be changed. Next press on the “remove” tab. Thus the next time you try to access that email account, Mozilla Thunderbird will try to recover all your emails but since it won’t be able to do so, it will seek the password again. However if you face any issue or problem with respect to your password changing procedure, please contact the Mozilla Thunderbird technical support at either the website https://support.mozilla.org/en-US/products/thunderbird or post your password recovery problem in the Mozilla Thunderbird community forum. If any other user has faced this kind of problem in the past, they might have shared a solution if they had managed to resolve it. How To Create & Add Signature In Mozilla Thunderbird? How to Change and Reset Mozilla Thunderbird Email Password?